If you're looking to build your fall wardrobe for college football season, NOW is the time to do it. From the Nordstrom Anniversary Sale to Tory Burch and Shopbop, there are so many crazy good sales right now. You can score some killer finds that will help you score a fashion touchdown. When it comes to dressing for a fall football game, I like wearing branded gear but I also love building my wardrobe with team colors. That way, you can wear looks not only to a tailgate and the game but you can also wear them throughout the week at work or school. 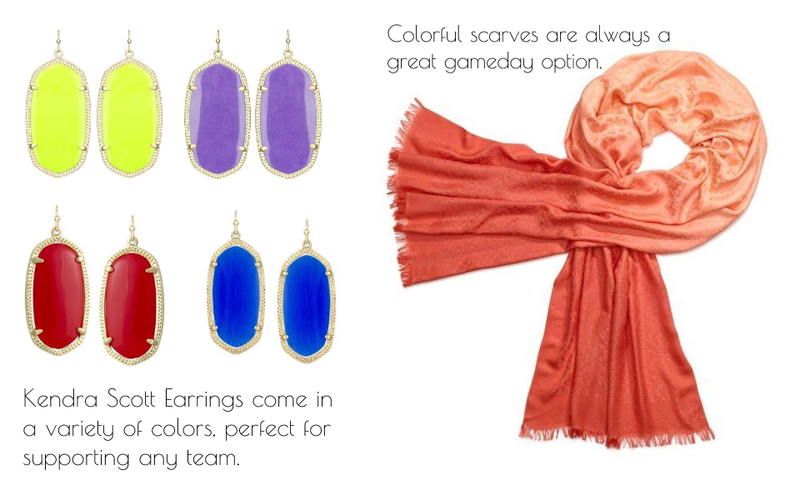 Accessories are also a great way to support your favorite team. From these Baylor-yellow Kendra Scott earrings to a colorful Texas burnt orange Gigi New York purse, these work perfectly at any time. 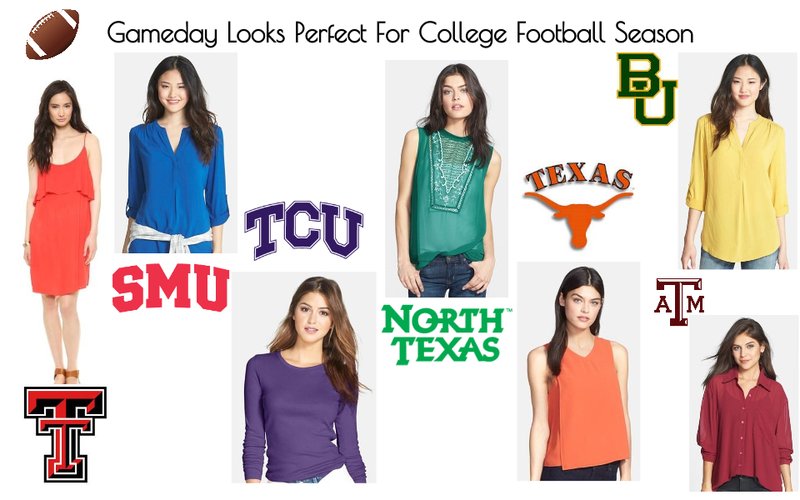 Scroll through for a variety of looks that are perfect for your favorite school's season opener and beyond. 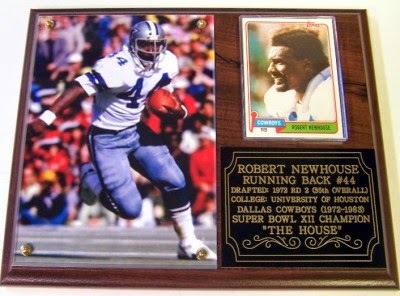 Anyone who has met or talked to Robert Newhouse for more than a minute has a story about the man whose halfback option pass to Golden Richards resulted in a touchdown in Super Bowl XII. It helped the Cowboys beat the Broncos 27-10 for their second Lombardi Trophy. He was a part of Cowboys history. But for many of us, he was so much more. He was a man we were lucky enough to call a friend. From revisiting the fields at Cal Lutheran College and reminiscing about Cowboys training camp in the 1970's to simply chatting with him in the hallways of Valley Ranch, House (as we all called him) was always willing to answer questions or offer a kind word. Hearing him describe Cowboys training camp at Cal Lutheran College remains a highlight of my professional career. For a story for Cowboys TV in the early 2000's, I along with House, the late John Chang and Chris Behm visited CLC to get his impression of the Cowboys training camp home two decades later. We walked the path House and his teammates took day after day from the dorms to the practice fields. He admitted that the path seemed longer and hotter during those training camp days in the 1970's than it actually was. We toured the exact dorm he shared with teammates. We saw the desk where he studied his playbook. He described the pain his body felt during camp as he tried to get back in shape for the season. It was the soreness so many of us feel after pushing ourselves. He wouldn't let that pain stop him. He didn't want to be the player who let down Coach Landry by being a step slow in practice. He reiterated that "not disappointing Coach Landry concept" a number of times during our tour of CLC. I am not sure that matters to many players today. The last time I saw Robert Newhouse was about two years ago. He suffered a stroke in 2010. He was not the strong man with those powerful running back's thighs we all grew to love. He didn't have the strength to be that man, yet he was true to who he was: kind, warm and generous. Understanding this could be one of our final visits, I selfishly reminded him of some of the sillier experiences we've had: a random dinner with John and Chris at El Pollo Loco, coffee with a certain Pro Football Hall of Famer at the Beverly Hills Hotel along with countless Valley Ranch visits dominated by me pestering him about aspects of the game. He has helped me understand more about the NFL than I ever deserved to know. It's so easy to romanticize those Cowboys players of the 1970's. I have had the good fortune of meeting most of them. They're all great guys. Robert Newhouse, though, was perhaps one of the best: a genuine man who cared. A person who made an impression. An impression that lasts a lifetime. Users wax poetic about their FitBits. David Sedaris, anyone? The Nike FuelBand is a different story (I have one and never use it). 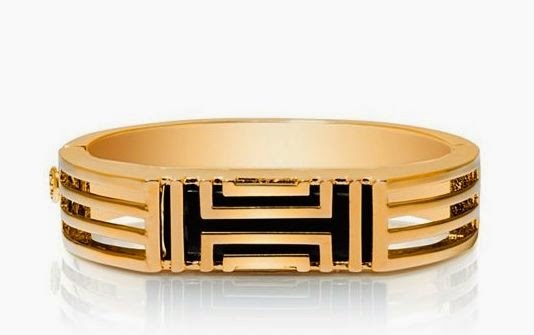 Now fashionable FitBit users will be waxing even more with the Tory Burch x FitBit collaboration. The designer has produced a chic geometric cuff ($195) and pendant ($175) that can help you stay stylish while tracking your movement. The cuff can go anywhere and will look great stacked with other bracelets on your arm while the pendant adds an elegant Art Deco look to a number of outfits. I think the gold and black contrast is beautiful. To use these, simply snap the tracker out of a FitBit Flex bracelet and place it into the cuff or pendant. It will track your steps, distance traveled and calories burned just like the original piece of equipment. You can snap the tracker back into the FitBit Flex to track your sleep patterns. These are available for pre-order at Tory Burch and will ship no later than 8/31, according to the website. 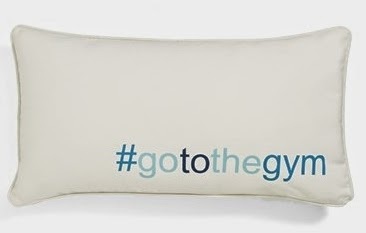 For those people that love all things Tory, this is something that hits the right note for the Tory Burch fan who is also a fitness fanatic. I think it's a chic way to track your daily activity. What do you think? Love it? Hate it? Will jewelry have you using your FitBit more?